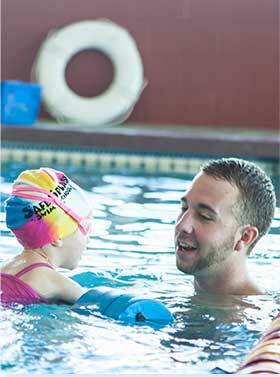 SafeSplash Swim School is the leading year-round, swim lesson provider for kids and adults. I'm so thankful that we found SafeSplash. Just a few months ago, Grace was crying and deathly afraid of going under the water. Now, she is a superstar bobber and she is nearly swimming on her own. I'm a proud Mama. 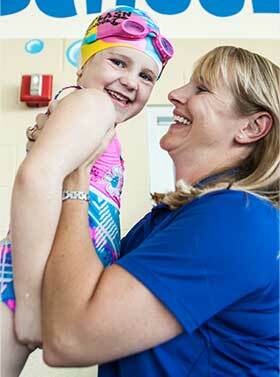 My daughter is enrolled in swim lessons at the Aurora SafeSplash and loves it. I never could have believed that one day a week swim lessons could produce the results that I have witnessed with my daughter. Your swim program and instructors work miracles. I would recommend SafeSplash to anyone. There is no comparison between their teaching and other options around town. We were previously enrolled at the local rec center and we didn't feel it was a good use of time or money. In just two sessions with SafeSplash my son can now actually swim! My son has really enjoyed his time at SafeSplash. We recommend this place to everyone we know. My 2 year old daughter was convinced she didn't want to learn how to swim or wear goggles. After two classes she loved the lessons and now makes sure to say, Don't forget my gobbles Momma. 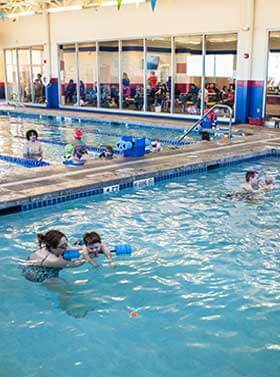 We have been going to SafeSplash for our swim lessons for about 4 years between my son and my daughter and we love it. The instructors are excellent and I couldn't believe how quickly and easily they were able to teach them. 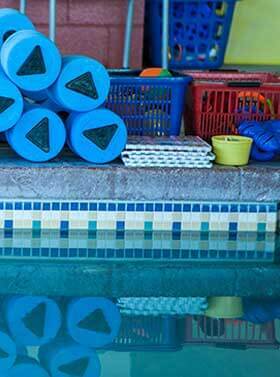 I wouldn't even consider another swim school for my children and highly recommend SafeSplash! I wanted to take the time to share our experiences with Cindy and her staff at the SafeSplash at Parker & Arapahoe. 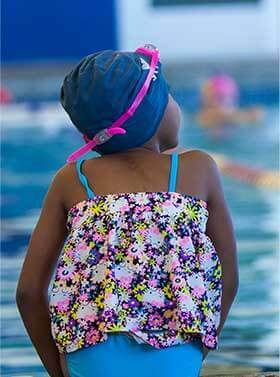 Our Kids have advanced in great measures in their swimming skills since they have attended these swimming classes. Cindy has always been a huge help in coordinating classes for our kids over the years even when our schedule gets hectic. I would also like to give special recognition to Andy who is Alexis and Tristan’s Instructor. Andy has been Alexis’s instructor for a while now and it’s really awesome to see the bond he has formed with her as her instructor. Now that our son Tristan is old enough we have also put him in swimming lessons and now he doesn’t have to watch from the side of the pool as he has done for several years now. Andy is also now Tristan’s Instructor and does very well with him. Thanks to Cindy and Andy for all their efforts at SafeSplash! Welcome to our class level finder. We have classes for swimmers of all levels from learning to blow bubbles to perfecting your butterfly. We also offer adult classes and classes for special needs students. Call us at 1-844-KID-SWIM for more info! Is swimmer comfortable in the water and has had swim lessons in the past? Can swimmer float on front and back independently for 5 seconds? Can swimmer perform freestyle and backstroke for 20 feet? Can swimmer perform proper side breathing for freestyle for 20 feet? Can swimmer perform legal breaststroke kick for 10 feet? Can swimmer perform 25 yards of freestyle and backstroke and has knowledge of breaststroke? Can swimmer perform legal butterfly? Can swimmer perform 100-yard IM (Individual Medley)? Do you want a parent in the water? Has swimmer been in activities away from a parent? Parent and child work together to develop the beginning swimming skills crucial for learning strokes and promote safety in the water. Swimmers learn the basic safety skills, breath control, independent floating, as well as the beginning movements for freestyle and backstroke. 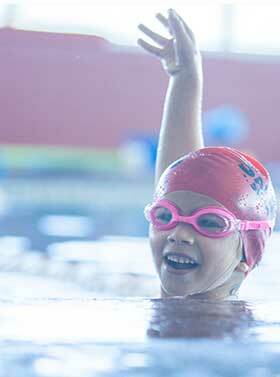 Swimmers develop basic freestyle and independent backstroke skills and build water safety. Swimmers learn independent freestyle side breathing, develop backstroke technique and endurance, and are introduced to the breaststroke kick. Swimmers continue developing freestyle and backstroke technique and endurance, learn the complete breaststroke, and are introduced to the butterfly kick. Swimmers will learn the full butterfly stroke and continue to refine technique and build endurance for all four strokes. Swimmers focus on improving technique and gaining endurance and develop competition skills. Swimmers focus on improving endurance and refining race techniques including breakouts, finishes, and IM turns. Our small class sizes are what we are famous for! With our 4:1 max teaching ratio, our SafeSplash Certified instructors are allowed to focus on the individual needs and goals of each swimmer that gets into our pools. Every child is our top priority, every day! We know you're incredibly busy. Our job is to make things a little easier by offering unparalled flexibility and convenience. No long term commitments, no sessions. With locations across the US, we're likely right around the corner in your neighborhood! Choose your preferred day and time, and we will do the rest. That is the SafeSplash Way! We pride ourselves in putting only the most qualified, caring instructors in the water each and every day to ensure all swimmers receive the best instruction possible. The passion our instructors have for teaching your child is unparalled. Our diverse teams allow us to match swimmers with the perfect instructor, allowing for an optimal learning experience. Something we call the SafeSplash Match. Our proprietary curriculum consists of several building blocks that allow your child to easily progress through each of our levels. 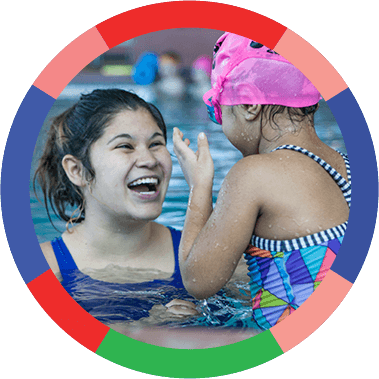 Our curriculum highlights water safety skills, along with USA Swimming Standards. No matter what your swimming goals are, our curriculum will help you get there. Over 4 million lessons gives us a heck of a foundation of proven experience. SafeSplash is committed to providing your family with the highest level of customer service possible. Our promise is to always be responsive to your busy schedule and exceed your expectations at every turn. Every day we seek to earn your trust. We know that your family is our family, and each swimmer's success is our greatest accomplishment. Warm water means more comfort and better learning. SafeSplash maintains our water at warmer temperatures to foster the best teaching environment possible. We also focus on water quality by investing in industry-leading water purification technologies in our dedicated facilities.